Paul McCartney has made official his plans to release an updated solo career-spanning compilation – but there’s a twist. 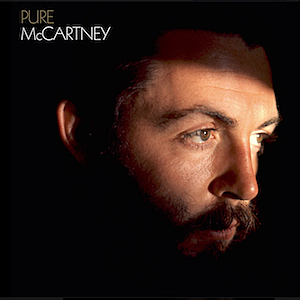 Pure McCartney, due on June 10, includes a sometimes-idiosyncratic selection of 67 tracks from a post-Beatles career that began with 1970’s McCartney and continues through more recent releases like 2013’s New. The set – which was promoted with an intriguing compilation of audio snippets — will be sold in two-CD, four-CD and vinyl packages. A complete track listing for the four-CD set is included below. There are plenty of the expected hits, but also some notably offbeat deep cuts.